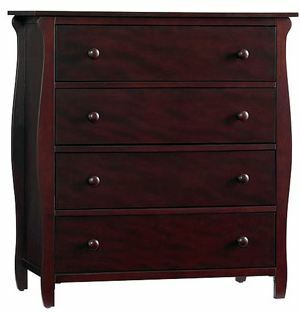 Right now at Walmart you can purchase this beautiful Graco Stanton 4-Drawer Dresser in Classic Cherry for only $129. That's 44% off the list price of $229! You have have this big piece of furniture shipped straight to your door for only $0.97! If you don't want to pay anything for shipping you can also choose in-store pickup for free! I love the cherry finish and the design of this dresser and it's definitely designed to be used in any room, not just a nursery.